Cindy has served at FBC Bangs for more than 33 years, first as the part-time secretary, and later as full time Office Manager and Financial Secretary. Cindy was born in Coleman, Texas, and grew up in nearby Santa Anna, Texas. 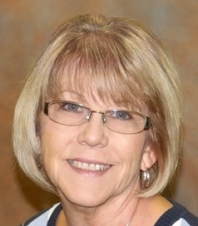 She attended business school in Brownwood, Texas after high school graduation, and has worked for Life of the Soutwest Insurance Company in Dallas, Trinity University in San Antonio, Navarro College in Corsicana, and Nelson Wholesale in Brownwood. Cindy has been married to her best friend, Daryl, for more than 41 years. After residing in Bangs for 30 years, the two moved to northern Coleman County to enjoy life in the country. She enjoys outdoor activities such as sports and gardening, helping Daryl on their working cattle ranch, and especially spending time with her family. Cindy and Daryl have been blessed with two amazing children and seven equally amazing grandchildren.